Late in 2017, a crop of iPhone X clones began popping up in China, with each device deciding to copy the tenth anniversary iPhone's main identifier: the front-facing "notch." One such model was the "Leagoo S9," and at Mobile World Congress this week the company has announced new details about the phone, including a price tag of $149.99. Leagoo confirmed that the device has a 5.85-inch "HD+" IPS notch display, further describing the phone as the "World's First Android iPhone X." Leagoo's notch includes technology that fuels a "Face Access" feature, allowing users to unlock the phone in under 0.1 seconds. According to the company's website, there will also be a "Leagoo S9 Pro." Other internal specs include an eight core chipset, 4GB RAM, a 3,300 mAh battery, and 32GB of storage, with a microSD card slot for further expansion possibilities. As a comparison, iPhone X's A11 chip includes six cores, the smartphone has 3GB of RAM, and it uses a 2,716 mAh battery. The Leagoo S9 also features a rear fingerprint sensor for additional biometric security entry options for users, physical lock and volume buttons on the right of the device, a vertical rear camera, and a bottom bezel with the Leagoo logo. 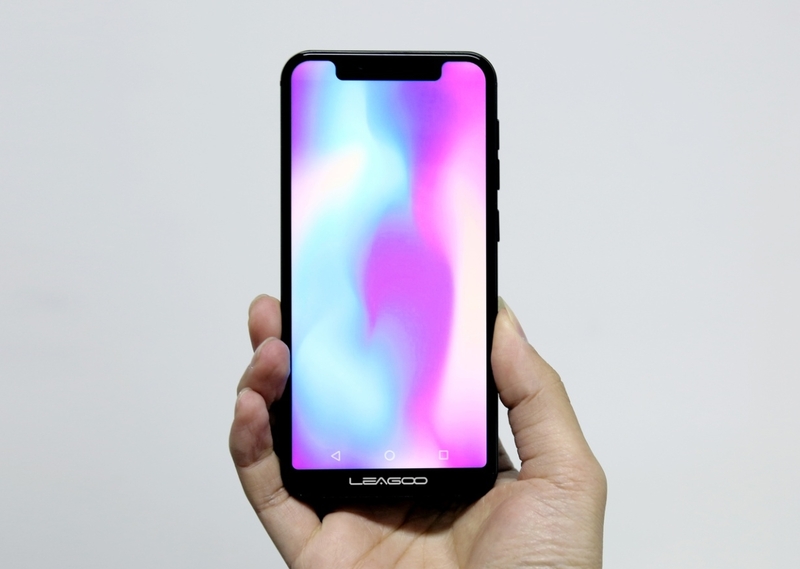 Each shot of the phone's software shows what appears to be consistent on-screen controls for returning home and going backwards within apps, suggesting these might be Leagoo's answer for the iPhone X's swipe up to go home gesture. Besides the new information on the internals and cost of the Leagoo S9, the company has yet to announce a release date. 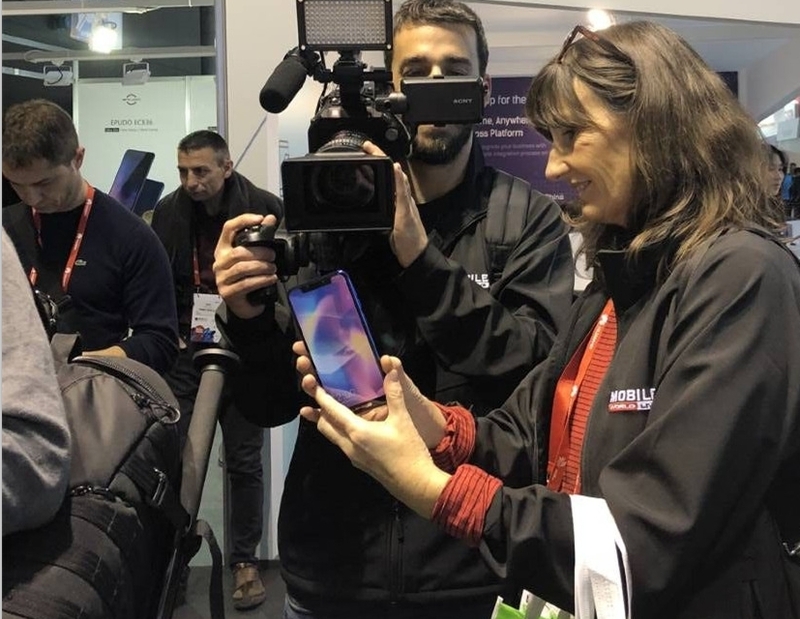 Many more Android versions of the iPhone X are expected throughout 2018, with Google itself said to be expecting such a huge wave of iPhone X clones that it's "embracing" an iPhone X notch-like design within Android P.
The woman in the picture is like: what the .. is this p.. of s.. Strange. Others following Apple designs and implementation with ‘Face Access’? Amazing how Apple is ridiculed for the Notch and others follow later. Having a bezel on the bottom kind of defeats the purpose of the notch. Copying a design flaw. Wow. How is the Notch a “Design flaw” if it successfully functions as intended in protecting one’s security? He specifically said a design flaw not a functionality flaw. It is a design flaw because it contradicts Apple's own basic human interface design guide. Having a notch cut out of a full frame picture or video? That would have been simply unacceptable in Apple's (former) design style book, and should be unacceptable in Apple's style book now. Gotta admire the gall of these guys. They name it after a Samsung and describe it as an Android iPhoneX. Maybe they should have called it the (il)Leagoo S9 Pixel iPhone X just to cover ALL of the bases. The main difference between this phone and the iPhone X is the "face access" feature involves banging it on your forehead until it breaks. That notch is wider, taller, and has a horrible curvature. Because it shouldn't be there. It's not natural to have a weird bar on the side of a video that cuts it off, and websites shouldn't have to be designed around a specific screen. Apple clearly doesn't like it considering they plan on reducing the notch. If your playing a video in full screen (the only time the notch would cut in) YOURE ALREADY CUTTING OFF PARTS OF THE VIDEO BY BEING THAT ZOOMED IN.